At the Sydney International Boat Show, Chris Mitchell was presented the NSW Maritime Medal. The Medal is awarded for “selfless, outstanding and sustained contributions to the boating and maritime community in NSW”. 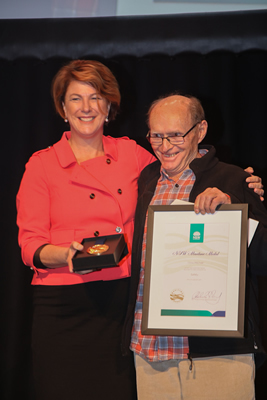 The Maritime Medal was presented to Chris by the Minister for Roads, Maritime and Freight, Melinda Pavey. Read Chris’ full speech HERE.